Dr. Ciliberti is a specialist in Neuro-Ophthalmology at the Rothchild Eye Institute. Although Dr. Ciliberti is a native New Yorker, he earned his Bachelor's Degree in Psychology from Emory University in Georgia. He spent more time in the south at the University of Florida and the University of Miami finishing his Masters Degree in Psychology at Georgetown University in Washington, D.C. in 1987. 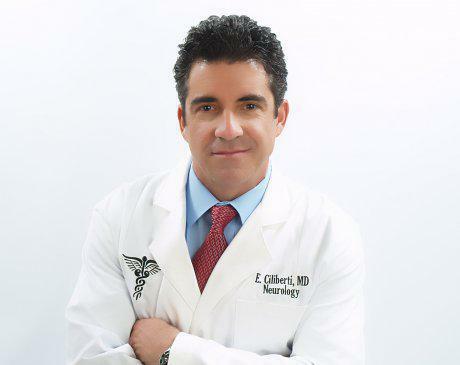 Dr. Ciliberti received his Doctor of Medicine from Tulane University in 1991. He completed an internal medicine internship at University of Miami, followed by an Ophthalmology Residency at Tulane. Dr. Ciliberti spent the next five years as the Admitting Physician at Veterans Administration Medical Center in Louisiana. After spending some time working, Dr. Ciliberti accepted a Neurology Residency which led to a Neuro-ophthalmology Fellowship. Dr. Ciliberti is a well-rounded doctor, who also spent time serving the United Space Air Force Reserve. He has many achievements such as receiving Outstanding Young Men of America in 1988, and the James H. Allen Awarr Excellence in Ophthalmology in 1991. He belongs to the American Academy of Ophthalmology and the American Academy of Neurology. Dr. Ciliberti also participates in the Broward County Ophthalmology Society and the Palm Beach County Ophthalmology Society.